Yesterday I visited the Tycho Brahe Museum on the tiny island of Ven or Hven in Sweden. 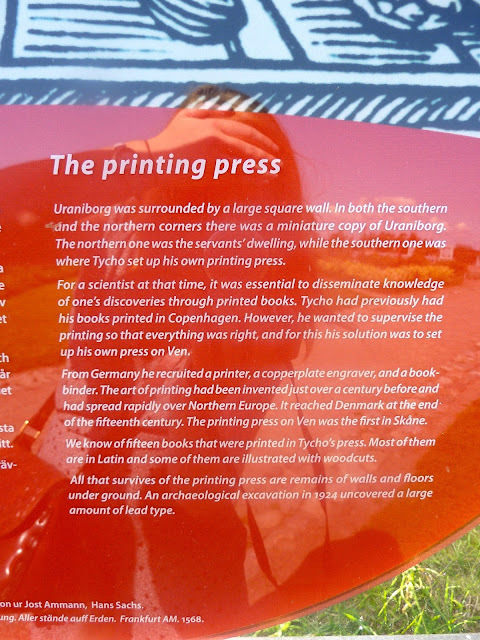 I'm going to write more about Tycho Brahe and the museum but for now (and the observatory he built in the 1500s).. here's a little descriptor from the gardens explaining how even in the 1500s it was important to disseminate research knowledge... and that Tycho the scientist didn't trust the people that printed his works. So he built his own printing press and printed it himself. Uraniborg was Tycho's castle and the museum is based around where it once stood. I put together a prezi presentation so I thought I would share it here. If you are interested in this you might want to look at my 'how to use twitter' and Social media and the PhD presentation. 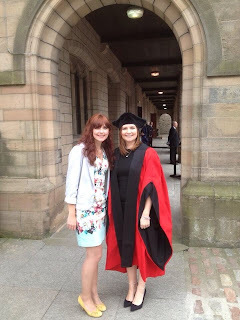 I sat my PhD viva last week and I am writing this in the post exam glow exhaustion. For anyone unfamiliar with a viva they can take on slightly different forms with different numbers of examiners and different requirements, but essentially 'a viva' is an oral exam. My viva was with two examiners, one from my university and the other from another university. Both examiners were researchers in an area related to my PhD topic.